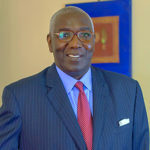 He served as Secretary of the Government of Senegal from 1995 to 2000, Technical Advisor to Prime Minister Responsible for Financial Matters from 1994 to 1995. 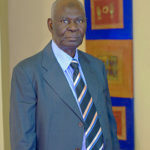 He was Head of the Department of Taxation of the Commission of the West African Economic Union in 1995 and the Director of taxes and districts and President of the National Accounting Council of Senegal from 1986 to 1990 and General Inspector of State in 2004. 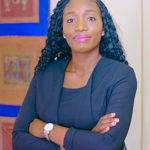 In the private sector, Mr. Ndiaye was the Managing Director of SONADIS, a supply and distribution company in Senegal, from 1984 to 1986, Director of Legal Affairs, Taxation and Litigation at MAERSK Senegal from 2002 to 2003, Auditor of COSENAM, a shipping company, from 1978 to 1984 and Administrator representing the State of Senegal in the board of administrators of BICIS, an investment bank in Senegal, from 1987 to 1990. 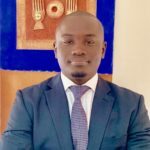 Mr. Ndiaye holds a Bachelor’s degree in Economics from the University of Dakar, a degree from the National Tax School of Clermont-Ferrand in France and the Certificate of Integrated Management Program for Foreign Managers from the National School of Administration of Quebec-Canada. He is an Honorary Citizen of Kansas City in the USA and Commander of the national merit order of Senegal. Mr.Traoré is an investment officer with experience in the field of management, finance, business and customer service. Prior to joining PCAG, Mr. Traoré’s worked with Deritz Catering Management in London U.K as an Assistant Operation Manager to develop financial management models for revenue generating and client retention. 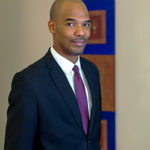 Previously, Mr. Traoré’s worked as a Financial Analyst at DRS/SFD (Direction de la Règlementation et de la Supervision des Systèmes Financiers Décentralisés) at the Senegalese Ministry of Finance. Mr. Traoré holds an M.B.A. in International Business from UWIC University (University of Wales Institute Cardiff) in the United Kingdom.